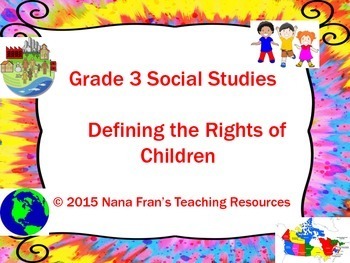 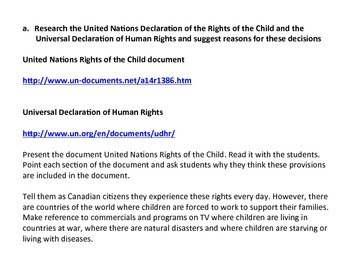 This Grade 3 Social Studies teaching resource offers coverage of all the indicators for the outcome PA3.3 – Make generalizations about the purpose and intent of documents that define the rights of children. 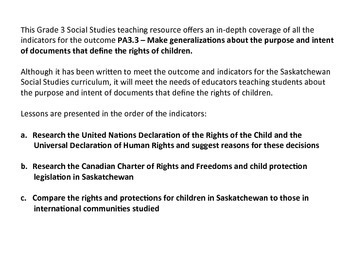 Although it has been written to meet the outcome and indicators for the Saskatchewan Social Studies curriculum, it will meet the needs of educators teaching students about the purpose and intent of documents that define the rights of children. 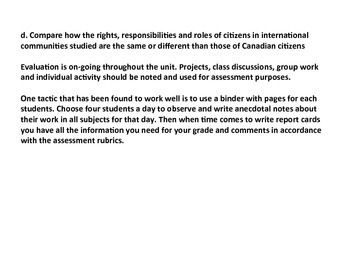 The intention is to provide teachers with a basis for their own lesson planning for this unit.